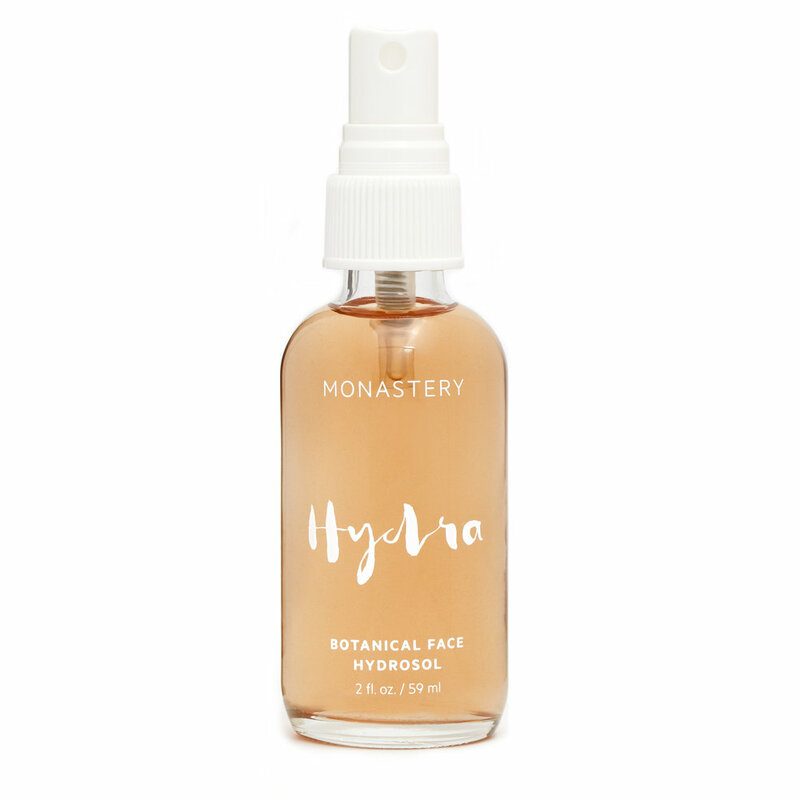 Athena Hewitt is the founder and magician behind Monastery skincare. All of her products are handmade from beautiful, natural, whole ingredients. I could rave about all of her products, but the one that stands out to me most is her face mist – Hydra. Its ingredients are simple and perfect: Rose Damask, Rosewood Leaf, and Black Spruce. Not only is it gentle and hydrating, its aromatherapy effects are like nothing I’ve ever experienced. Each spritz is a spiritual experience that instantly grounds and calms you. It’s absolutely divine, and the only face mist I’ll ever tell anyone to spend a good amount of money on. It’s worth it. Anybody who’s explored natural skincare has probably heard of Herbivore, and for good reason. Their products are made with natural ingredients, plant-based food-grade cold-pressed oils, steam distilled therapeutic-grade essential oils, GMO free soy wax, recyclable and reusable packaging, and many certified organic ingredients. My current favorite product is the Phoenix facial oil, which is made with Rosehip oil, Sea Buckthorn oil, Chia Seed Co2, Meadowfoam oil, and Neroli oil, to name a few. It leaves my skin glowy and hydrated without the slightest greasy residue. I use a few drops at night and a few in the morning before my makeup, and my skin has been so soft and dewy! I’d recommend this one for all skin types. Suki Skincare has been a long time favorite of mine and I don’t think nearly enough people know about her products. Suki makes products that are clean, natural, mostly organic, and target skin issues like allergies, rosacea, eczema, acne, and general sensitivity. This was the first brand that cleared up my acne, and always clears my skin up when I need it to. Literally ALL of the products are good (and worth the $$), but my favorite is the Exfoliate Foaming Cleanser. It has a sugar base and smells like lemongrass, and whenever it’s in my routine my skin is extra clear, soft, and glowy. It also works well as a lip scrub! Palermo was founded by the lovely Jessica Morelli, who creates holistic skincare products using natural ingredients. Each product comes in gorgeous eco-friendly packaging and contains the best ingredients. My favorite product from Palermo is their Vitamin C mask, which uses pink clay and strawberry extract to give your skin an incredible glow. Normally I’m highly sensitive to pink clay and can’t use any masks with it as a main ingredient, but I think the fact that this is one of my favorite masks is a testament to the incredibly high quality of all of the ingredients Jessica sources. I’ve loved all the products I’ve tried from Palermo and would recommend them to anyone. Three incredible women founded girl Undiscovered, and their range focuses on natural products that help you to feel your best and revel in your womanhood. They source natural ingredients from all over the world, and each product carries a beautiful energy and natural essence. My favorite product from their range is the Stumbled Across Paradise mask, which uses Burmese thanaka to polish the skin, coconut oil to soften, and honey to soothe and heal. This mask always leaves my skin impossibly glowy and soft, and feels fantastic. It’s perfect for all skin types and will last you ages.